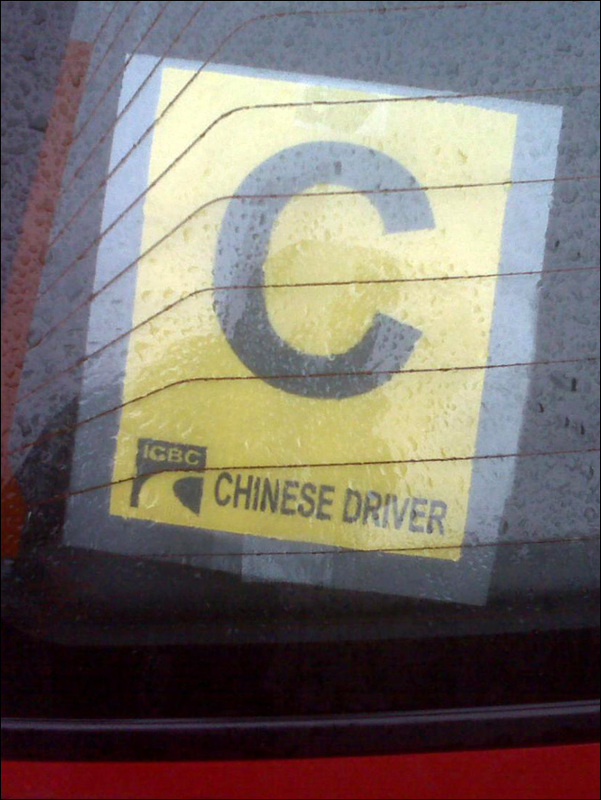 Who is putting these "Chinese Driver" stickers on their cars? C is for Chinese Driver? 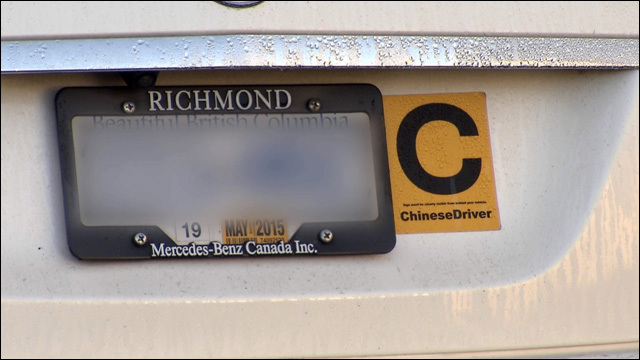 In Canada, a fake "Chinese Driver" decal being sold in the Vancouver area are getting some negative attention from community leaders who say the stickers are racist. The sticker is similar in size, shaping and lettering to decals required by British Columbia for drivers in the graduated license program. 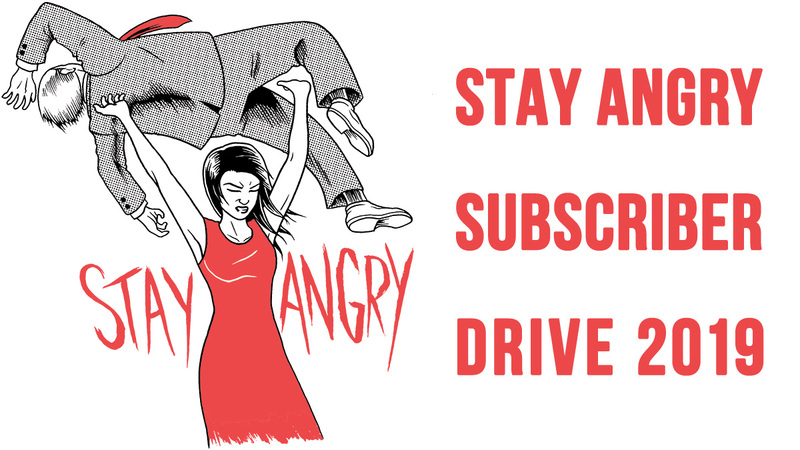 Except for, you know, "Chinese Driver" spelled out underneath. The joke being, of course, that Asians are not particularly good behind the wheel of an automobile. It appears that someone is making a buck from one of our favorite persistent Asian stereotypes. 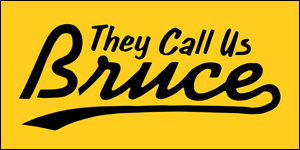 According to CTV News, the controversial stickers are being sold at an auto accessory store in Richmond... and most of the people buying them are apparently Asian. So consumer reporter Lynda Steele tracked down the store selling the controversial sticker, the Super Garage in Richmond's Aberdeen Mall. When she asked the retailer who was buying the stickers, she was told it was mostly purchased by Chinese people. “But sometimes we also get Caucasians buying it because it's funny," said the retail clerk. But not everybody felt the same way. All of the Caucasian people who were asked were offended by the sticker. But the majority of the Chinese people CTV News questioned didn’t feel the same way. "It could be very light hearted. Maybe people are just trying to amuse people," said Queenie Choo of S.U.C.C.E.S.S, a group that provides social services for the Chinese community in Metro Vancouver. “I don't know what are the intentions are, but I don't think there was any intentions to be racist." Whatever, people. It's your money. Spend it a stupid sticker and slap it on your car, if that's what you want. All I request is that if you're Chinese and you're driving around with that decal -- obnoxiously proclaiming to all that you are indeed a Chinese Driver -- you better make damn sure that you are excellent behind the wheel.